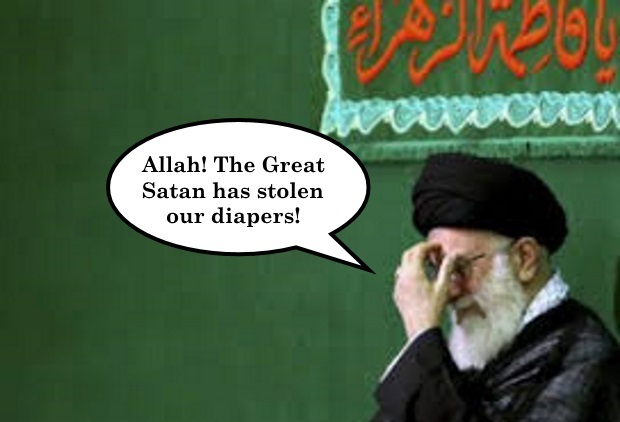 Ayatollah Khamenei blames diaper shortage on “the enemy” who “wants people to make angry with the government”. Babies’ nappies have become the latest casualty of Iran’s faltering economy, with huge price rises and shortages across the country. Fears over their availability have whipped up a storm of angry messages on social media blaming the authorities. The issue made national headlines days ago, when Iranian President Hassan Rouhani and his cabinet went to meet the Supreme Leader, Ayatollah Ali Khamenei. In the course of their conversation, Ayatollah Khamenei mentioned the shortage of nappies, blaming it on “the enemy” who “wants people to make angry with the government”.